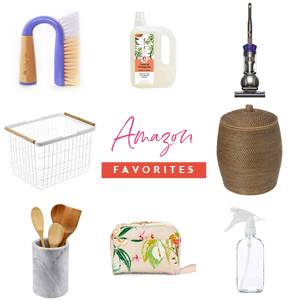 Spring and summer have always been my favorite seasons, and one of the many reasons I adore them is because they allow me to head to the garden and yard to pick fresh greenery for our home. Florals, branches and plants add so much life to a room; plus they look and smell great! During our colder months, I find myself heading to the grocery store frequently to pick up a small bouquets of pretties. I sprinkle them around our home so that I can enjoy a little bit of color and life all year long. I truly believe that flowers and plants are food for the soul. 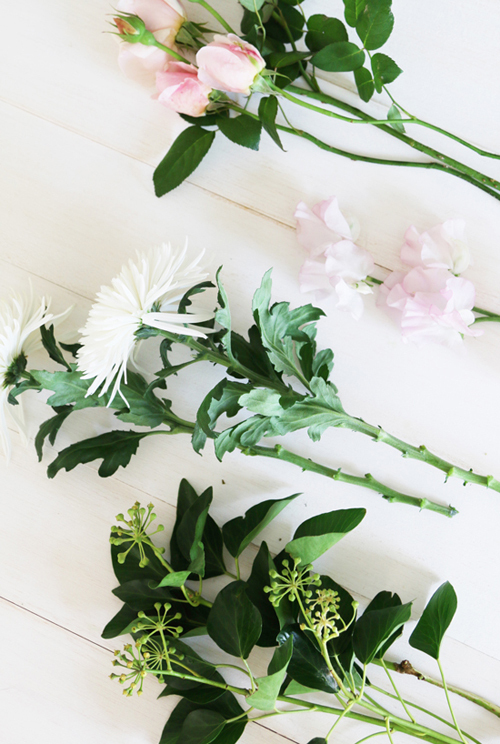 My fantastic friend and contributor, Serena of Pretty Fluffy blog, is joining us today to share some of her floral arranging tips. Considering I typically just chop and plop my flowers into nearby vase, I am super excited to soak up her advice. Now, if someone could figure out scratch and sniff computer monitors, we would be extra lucky today! When you look at any home magazine shoot you’re almost always guaranteed to see a bunch of fresh flowers in the shot. In fact, editors are often known to turn up to home tour shoots armed with bunches upon bunches of flowers to brighten up the spaces they’re shooting. But for most of us, ordering fresh flowers every week is not making it into our household budget. Eating tinned spaghetti all week to buy a bunch of roses retail? Grumpy cat says no. But with just a few tools, and some easy tricks, you CAN have beautiful blooms at home – no tinned spaghetti required! 1. Floral Scissors – These are specialty scissors designed to cut through the stems cleanly while being easy on your hands. You can also use a florist knife instead of scissors, but frankly for those of us just starting out, I’d stick to the scissors to save your fingertips from some American Psycho level damage. 2. Rose Stripper – A pre-Rock of Love Bret Michaels told us that, "Every rose has it’s thorn"… and unless you want those thorns embedded in your palms, you’ll want to grab a rose stripper. You just wrap it around the stem and pull down. As you pull all those pesky thorns and foliage comes with it. 3. Secateurs – These babies are for heavy-duty stems – like thick foliage – that just can’t be tamed by your scissors. 4. Buckets – Any kind of vessel will do, but it’s handy to have 2 buckets or bins on hand. One filled with water to keep your blooms nourished as you create. The second as a waste bin so you can work straight into it and avoid a lot of mess. Apron to protect your clothes! I love these ones by Oatmeal Lace Design on Etsy. 1. Prepare your work area. 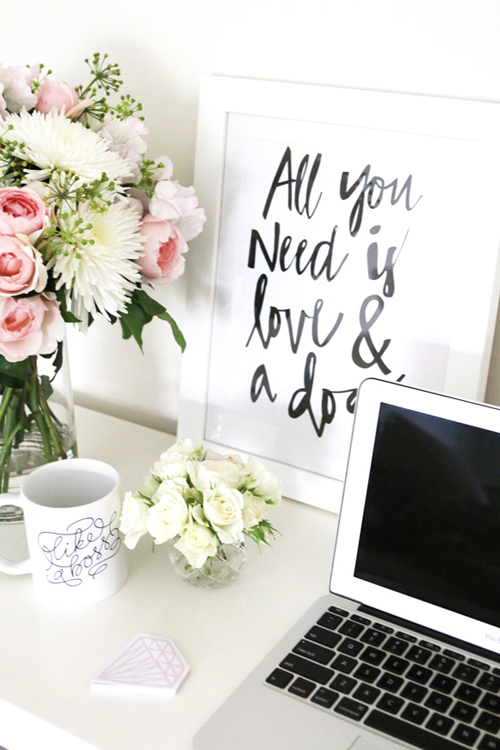 You’ll need a clean workspace, your scissors and floral tie/string handy. On the floor place your bucket of blooms in water, as well as your empty bucket for off-cuts. 2. Prep your flowers. Grab your rose stripper and strip all leaves/thorns below water level. Usually leave only a few leaves up near the top of the stem – depending on the flower and the look you’re going for. 3. Prep your foliage. Greenery usually comes off hedges, bushes and trees in great big chunks. 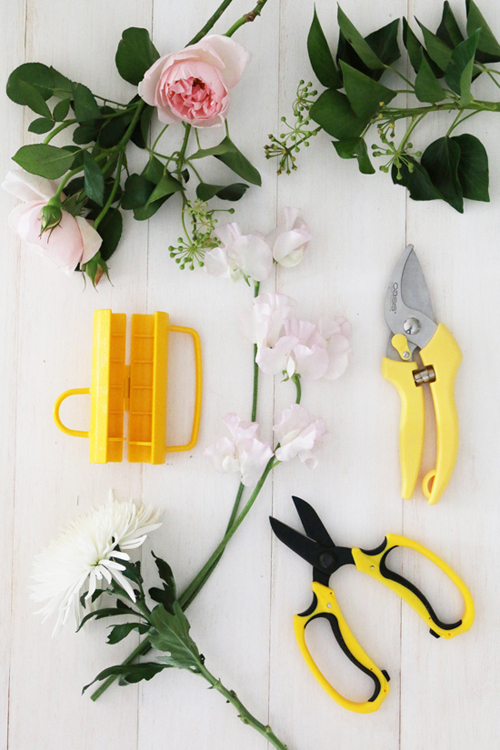 Using your secateurs cut it down to more manageable pieces that will fit into a bouquet. Start with one strong stem and hold it upright in your left hand. Grab your second stem and place it on TOP of the first stem with the bottom of the stem pointing at an angle to the LEFT. 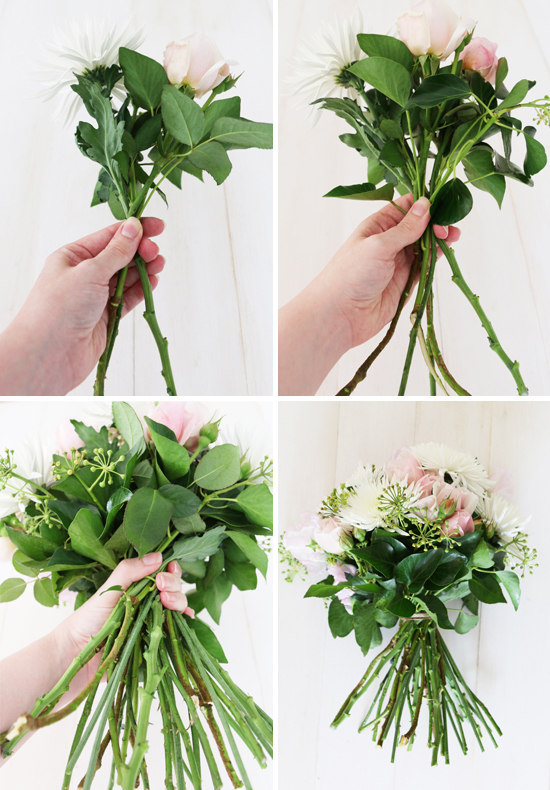 Keep on adding your foliage and flowers this way twisting the bunch in an anti-clockwise direction – your left hand will continue to hold the bouquet and your right hand will select each bloom and place it where it needs to go. 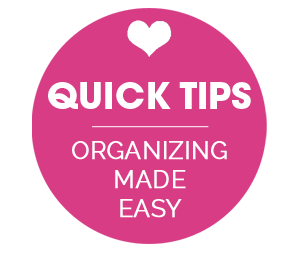 Keep an eye on the top of your bouquet as you work through. How is it looking? Is there enough color variation, are all the flowers sitting at a similar height? When you get to nearing the end (and your left hand is about to go numb!) take a tie or your piece of string and wrap as close to the base as possible to hold your bouquet in place. Congratulations! You’ve spiraled like a boss. 5. Finally, using your floristry scissors trim each stem at an angle and either pop your bouquet straight into a vase - or, if it’s a gift, wrap in cellophane/decorative paper. Ever gotten a bunch of flowers only to have them fall in to a hot mess once you placed them in a vase at home? Yep, we’ve all been there. Here’s how to avoid this floral fail. 1. Start with a clean vase filled with fresh, lukewarm water. Any dirt or bacteria in the container or water will shorten the length of your flowers, so you want to keep it clean. 2. 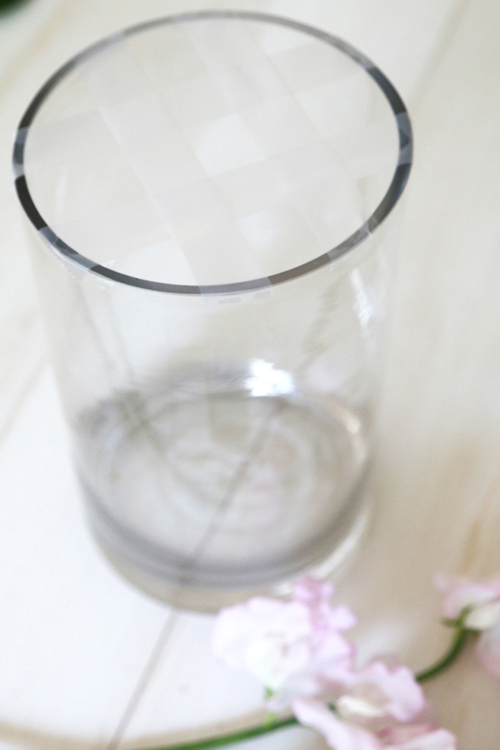 Create a grid with tape across the top of your vase. 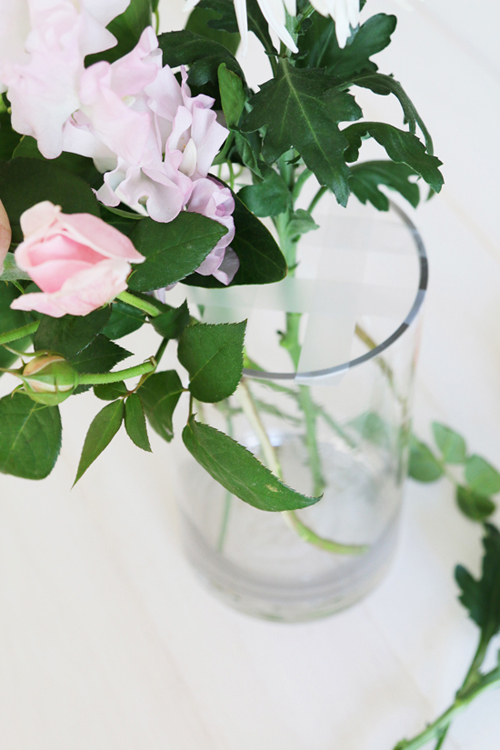 Using long strips of tape, place them horizontally and vertically across the top of your vase leaving you with a grid in which you can place your flowers. No more falling over flowers! 3. Prep your flowers. Grab your handy stripper and strip all leaves/thorns below water level. Cut each stem at an angle and place it directly back into your bucket of clean water. It can only take a few seconds before the ends start to seal. 4. 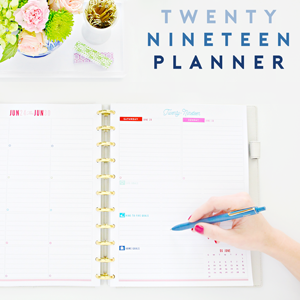 Working one by one, arrange your flowers by placing them in the grid in groups. Experiment with different heights, textures and color groupings as you go. Voila! You’re done. To literally cut half or quarter of your flower spending, always go to your local market to get flowers direct from the supplier. Even better, why not start growing your own flowers and foliage in your own garden? When it comes to flowers, the early bird gets the worm. Some florists get to the flower markets at 4 a.m. to ensure they get the best flowers! If you would prefer to be snuggled up in bed at that time, never fear. Simply find a grower at the market that you can pre-order your blooms with. If you pay in advance or leave a deposit you can then pick them up later in the morning. Want to get the freshest flowers at the market? Old flowers will often have browning stem ends (where they’ve been cut) and yellowing leaves – steer clear of these ones. When choosing your flowers stick to two to three main colors that work together and don’t be afraid to add foliage for depth. If you’re after a particular type of flower always check that it’s in season to avoid disappointment (or paying through the nose for it). A lot of florists have handy guides (like this one) where you can see when flowers should be available. Remember, if you’re using an Internet resource for flowers, make sure it is one local to your area – knowing when peonies are blooming in New Zealand isn’t going to help you unless you’re in New Zealand! Get creative with your arrangements. You don’t need an expensive, fancy vase to make your flowers look good - old jars make a great vessel for flowers. 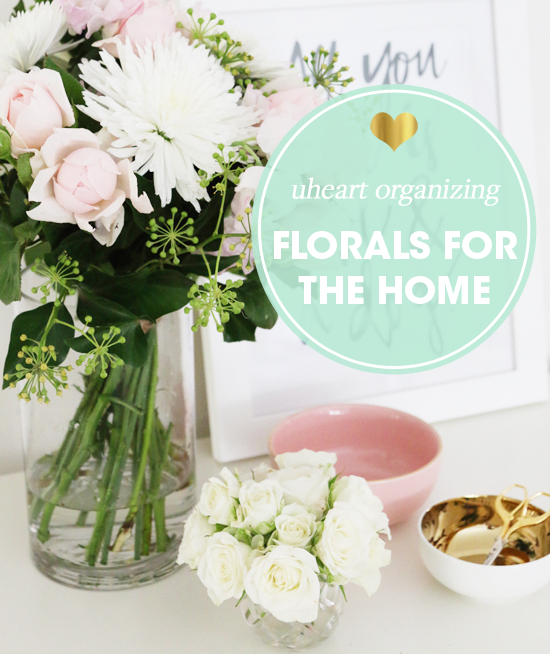 Break up big bouquets into little arrangements and scatter around your house to enjoy your flowers in every room. Do a course! I learned all of the above tips and skills taking a course, but check with florists in your area to find a local class – trust me, it’s a lot of fun! "I am Serena Faber Nelson, a television producer, writer and fluffy dog owner. 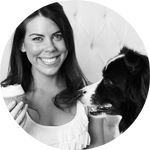 Obsessed with home décor, fashion, lifestyle and dogs – I set about creating Pretty Fluffy as a go-to guide for the modern pet owner. 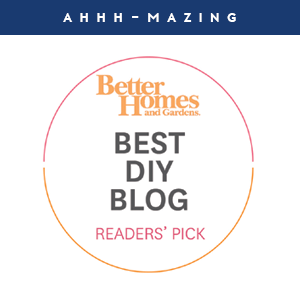 Featuring a range of stylish products, celebrity pooches, DIY projects and handy hints, Pretty Fluffy is a daily stop for smiles and inspiration, giving readers the tools they need to enjoy full and happy lives with their furry friends. My greatest loves include fresh peonies, Dirty Dancing (Nobody puts Baby in a corner), Banoffe Pie, spending waaay too much time on Pinterest, and hugging random dogs at the park. I currently live in Sydney, Australia with my husband, Andy, and my 11 year old Border Collie, Soda. As a long time fan, I am super excited to be joining the IHeart Organizing Team!" This is lovely! Now I can finally rid myself of flopping flower frustration. Is the tape just regular wrapping tape? I wish I knew this scotchtape trick sooner!!! What a pretty post!! Love the tips for floral arranging. I have Spring flowers scattered throughout our home. :) Have a lovely weekend! Thanks for sharing! Lots of great tips and tricks. I love the grid with tape trick. I will definitely have to try that. Thank you so much! I will especially be needing the tips for arranging flowers that someone gives me (my husband is a good guy and buys me a bouquet once in awhile!) and I feel like I never do the flowers justice. Such awesome tips!! 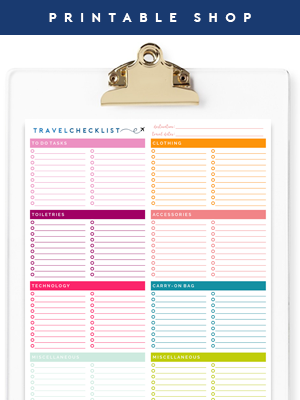 I will certainly be putting these into practice! I love fresh flowers, they make me smile every time I pass them in my home. I can't wait to try out the tape technique - thanks for the great tips. Love Love this post - will definitely be saving it for doing my own arrangements. Now I just have to go get some fresh flowers - you've definitely inspired me to take advantage of these springtime beauties! 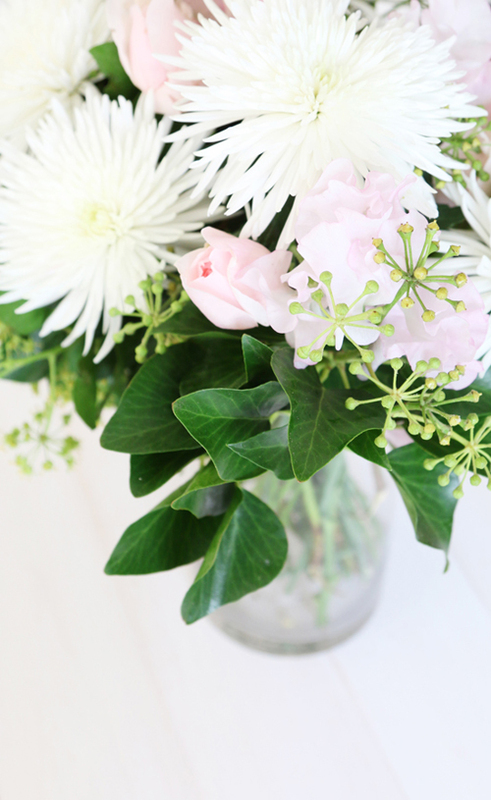 This is hands down the most comprehensive post on diy flower arranging I've come across! I can't wait to try all these tips out! What do you call those greens that look like little asteroids? I've never seen those before. I am so obsessed with flowers this spring. It is great decoration and just refreshes everything. 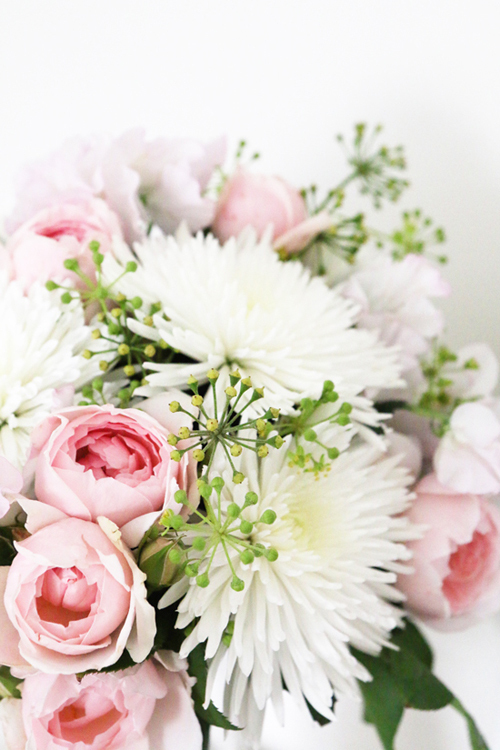 I love the bouquet it is simple but still so pretty and white and pink are my favorite colors.